New Year's eve is a time of celebrating the end of a year and the start of a new one. While there are many traditions around the world for starting the new year, most people around the world opt to transition years with the help of alcohol. 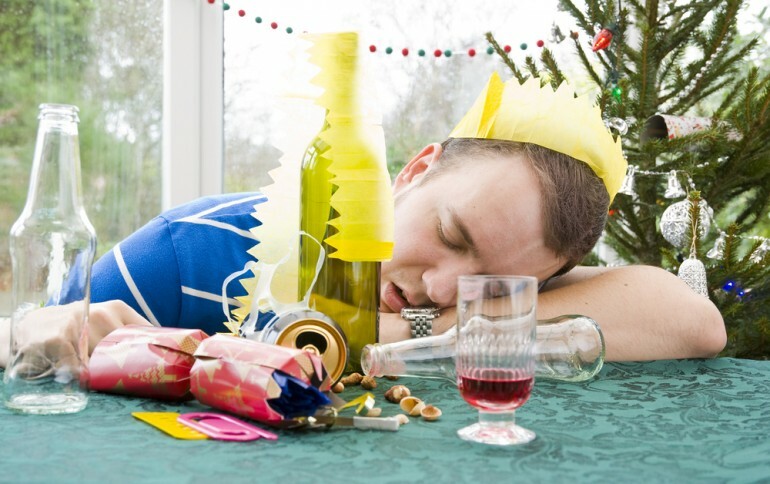 And for those who get a little too carried away, the start of the year (Jan. 1) usually comes with a special gift: a hangover. As the blood alcohol level in your body reaches zero, a splitting headache coupled with nausea, sensitivity to light and fatigue typically creates a less-than-pleasant memory of the night before. And when it comes to curing a hangover, there are many tidbits of advice that floats around regarding to how to alleviate the symptoms. One popular remedy is the "hair of a dog" approach, which (thankfully) has nothing to do with canine hair. This method involves consuming more alcohol--in the form of a bloody mary--and while it does help by adding alcohol in your system when your body is withdrawing from it, it'll simply lead to an even worse hangover the next day. Another popular "cure" is to have a heavy, greasy breakfast. But contrary to popular belief, there's no scientific evidence suggesting a heavy breakfast helps. 1. Stay hydrated: Drinking lots of fluids (water, juice and Gatorade) can help alleviate the symptoms of a hangover. Alcohol dehydrates your body and loading up on the liquids can counter that. Note that this won't cure anything, but it will help play a part in rehydrating your body and in turn, it will make you feel better. 2. Sleep: While there is no scientific evidence that sleep can cure a hangover, many times people who are drunk are sleep deprived and the effects of sleep deprivation coupled combined with a hangover can exacerbate the symptoms. If you have the time and luxury to do so, then sleeping your way through your hangover is a way to alleviate the symptoms. 3. Ginger, Banana and Tomato: One common symptom of a hangover is feeling nauseated. Consuming ginger--either in capsule or in tea form--is a great way to remedy the feeling. And because alcohol dehydrates, chances are you've urinated your body's potassium over the course of your drinking so eating a banana is a way to stabilize your potassium levels. Lastly, drinking tomato juice can give you simple sugars while your liver is metabolizing the alcohol in your body and not keeping tabs on your sugar level. 4. Time. They say time heals all wounds, and this age-old idiom is especially appropriate for a hangover. Unfortunately, there is no magical remedy that can instantly fix a hangover. As such, time is the only surefire way to fix a hangover (aside from preventing it altogether). 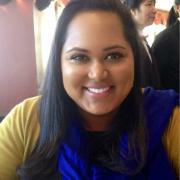 Susmita Baral joined Latin Times in April 2013. Her work has been published in VICE, Weight Watchers Magazine, Unique Homes Magazine, US Airways Magazine, Vista Magazine, Daily Glow and Kaplan. She holds a B.A. Psychology from Rutgers University. A self-proclaimed foodie, Susmita is a freelance list maker, part-time Shaq devotee, and a full-time eyeliner junkie who believes mac and cheese is a birthright. 13 Thanksgiving Cocktails Perfect For The Holidays! 11 Quotes To Get Through Hump Day!